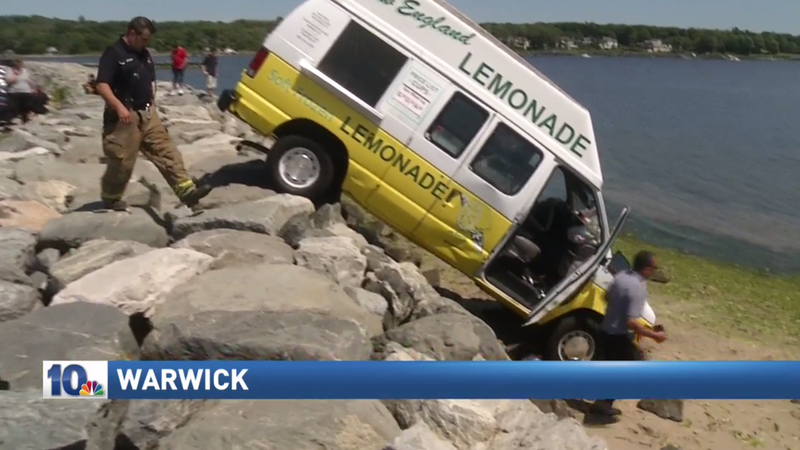 What was initially believed to be a horribly gruesome wreck after a lemonade truck crashed over an Oakland Beach seawall in Warwick, Rhode Island earlier today was quickly discovered to just be watermelon lemonade. Brian Hargraves, who witnessed the crash, described what he saw. Luckily, the driver only had to be treated for minor injuries. Police report that the she accidentally hit the gas pedal instead of the brake pedal, nearly sending her into the ocean. The vehicle suffered a shattered windshield, multiple dents, as well as other internal damage as a result of the crash. The driver doesn’t face any charges. We’re all lucky this wasn’t the horribly gory crime scene that it first appeared to be, and instead was just a sweet, delicious mishap.